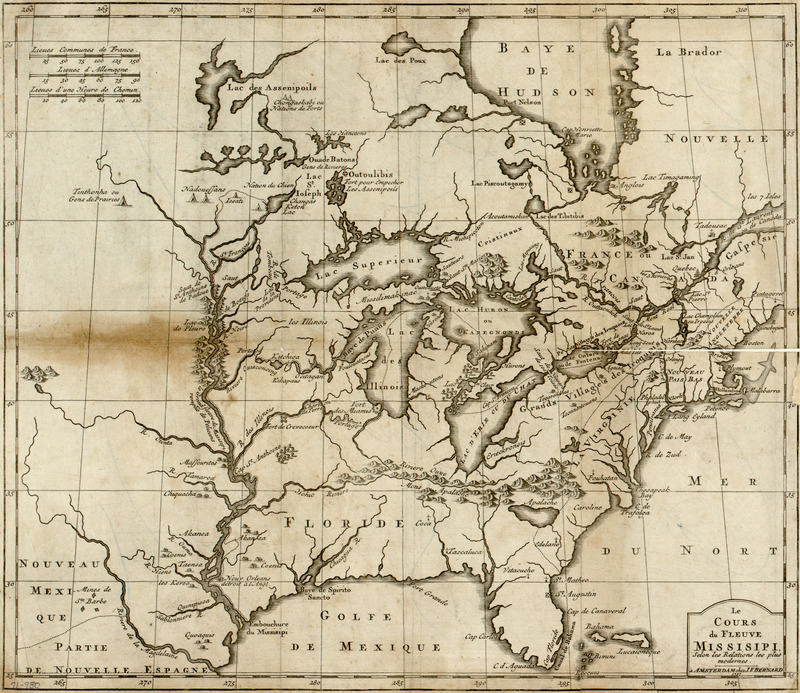 Here's a real wacked-out 18th-Century representation of what would become the U.S... dominated by the Great Lakes. 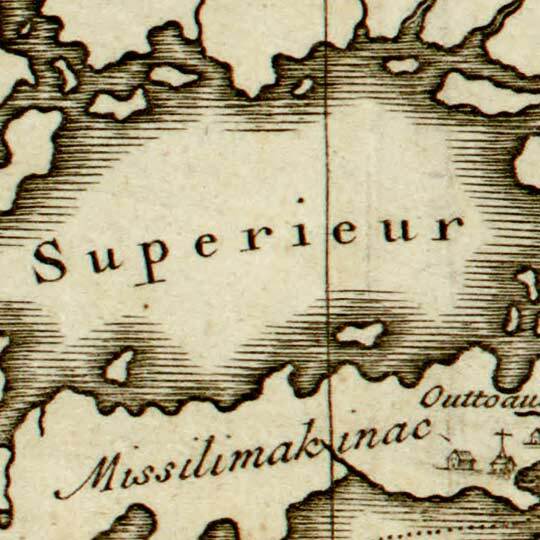 Just real quickly, here's a concept in the history of cartography that might illustrate why this type of distortion is rather unlikely and unique: So Lattitude (representing how far something is from the equator) was something explorers (of many differing cultures) could get pretty right early-on. With measurements of sun (or star) angle, and a good guess of what day of the year it was, it isn't hard at all for seafarers to figure their lattitude. Now longitude (how far east or west you are) is a different ballgame -- and without getting into it too much (I gotta go out here in a moment), accurate estimation of your current longitude requires a very accurate timepiece to figure. Accurate clocks that can stay accurate over long periods of time -- especially in a real rough environment, like a moving ship or jostling oxcart -- were a real hard art to perfect (to put it mildly). So all of this means that much of the error you'll find on maps of the golden ages of exploration will be almost entirely longitudinal error, but will be surprisingly accurate on lattitude. It is in this light that that this map makes very little sense. You gotta be surprised at this particular pattern of distortion. I was like: "Huh... ol' dude has the Great Lakes almost tickling the Gulf Coast."